It was nice to hand over the baking to Manou on Monday. 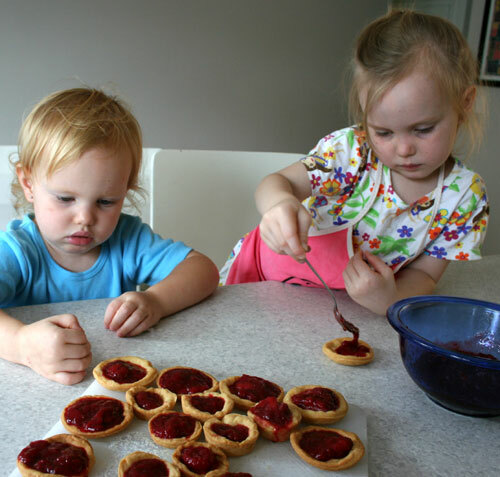 I found some frozen strawberries in the freezer so we decided to make strawberry tarts. 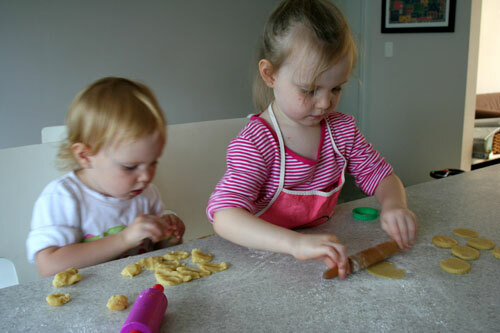 Brioni loved using her hands to mix the crust dough. 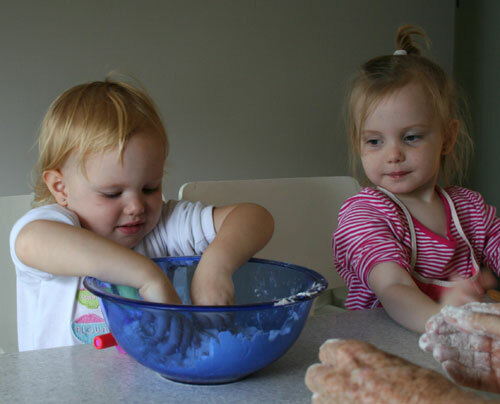 Rolling out the dough and cutting shapes -- Aisha's got it down pat. Brioni prefers to make more organic, individual shapes. Aisha spoons the strawberries (lightly stewed with a tiny bit of sugar) into the cases. Brioni is just saying, "I want to eat one." 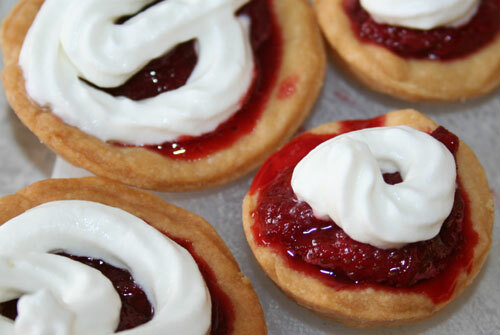 "The Queen of Hearts, she made some tarts, all on a summer's day." Although they weren’t very sweet (and the whipped cream wilted after sitting in the fridge for a while), the tarts didn’t last long. They were just the right size for a mouthful and were more-ish.